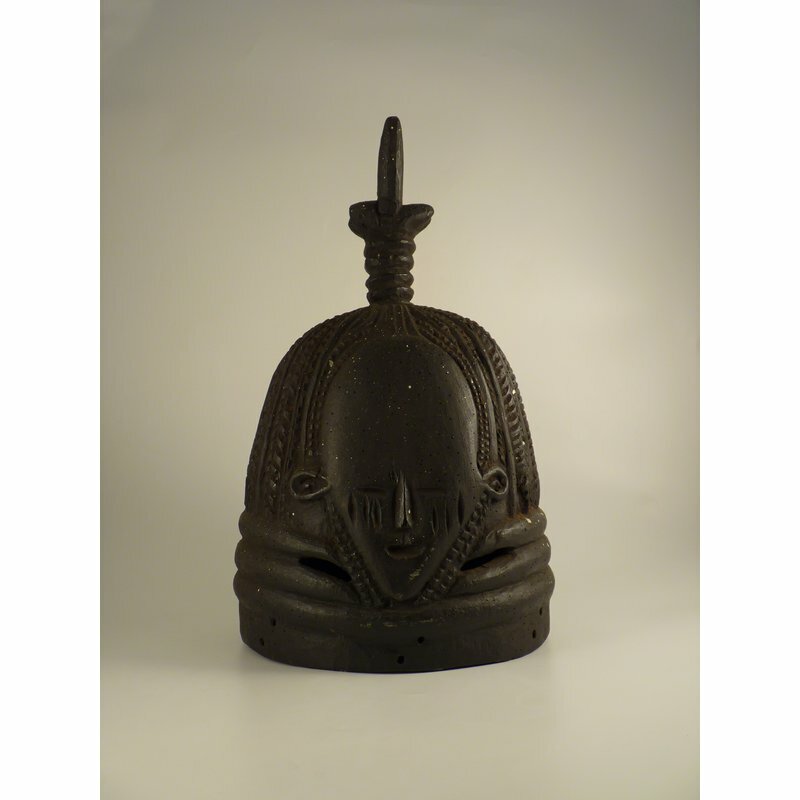 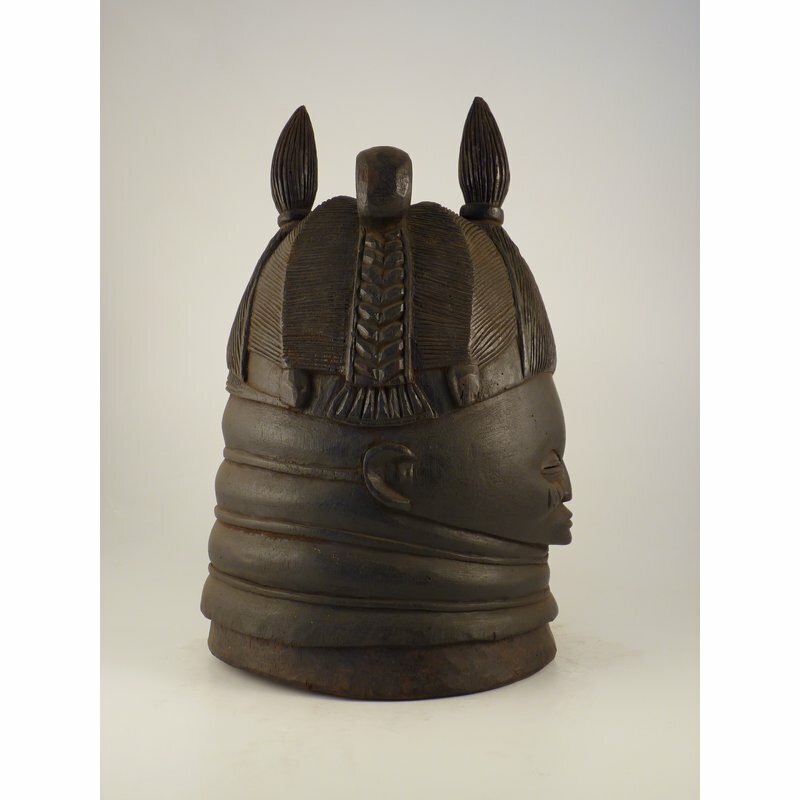 Carved wooden helmet mask used by the exclusively female Sande (Mende) or Bondo/Bundu (Temne) societies. 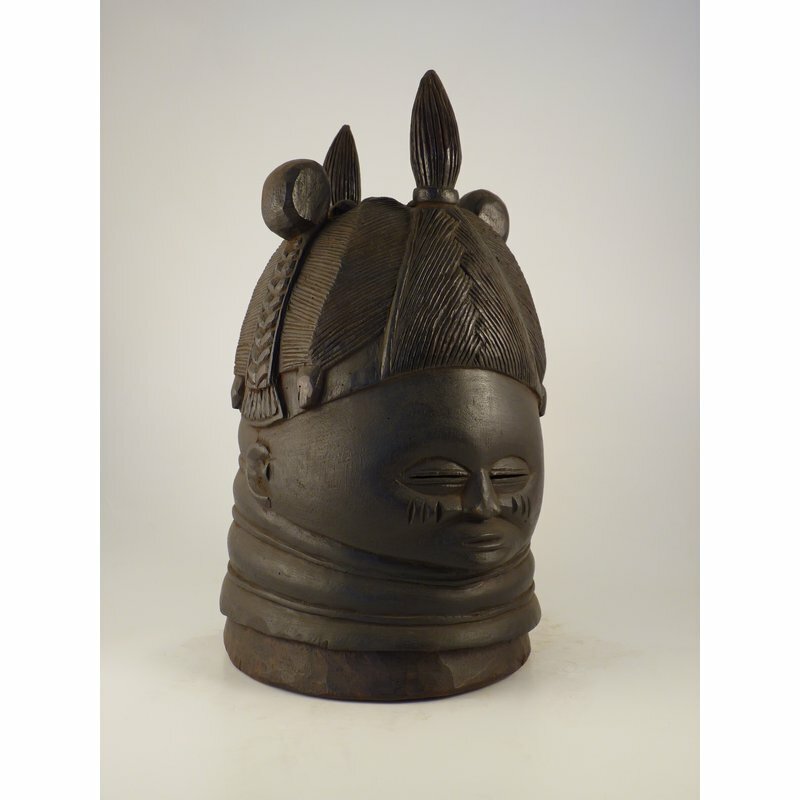 The mask is traditionally worn by a high-ranking member of the society, the dancing sowei , known as the ndoli jowei among the Mende or a-Nowo among the Temne. 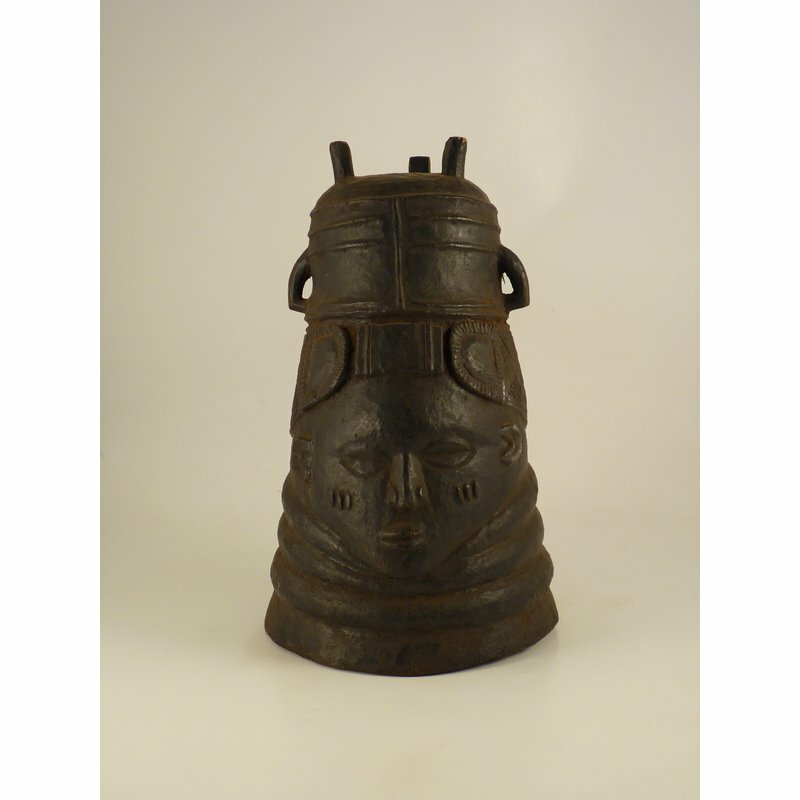 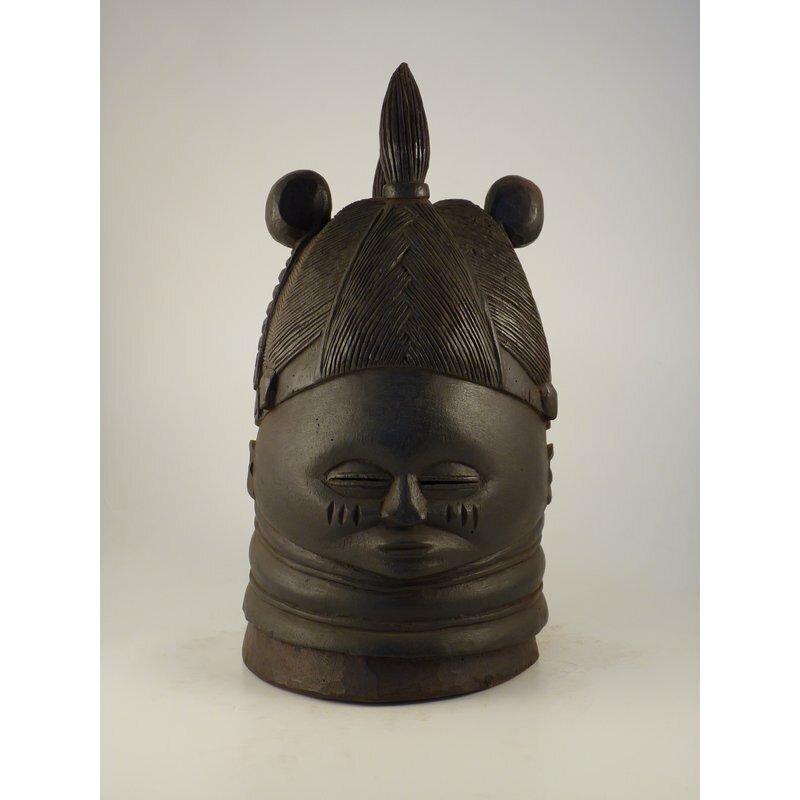 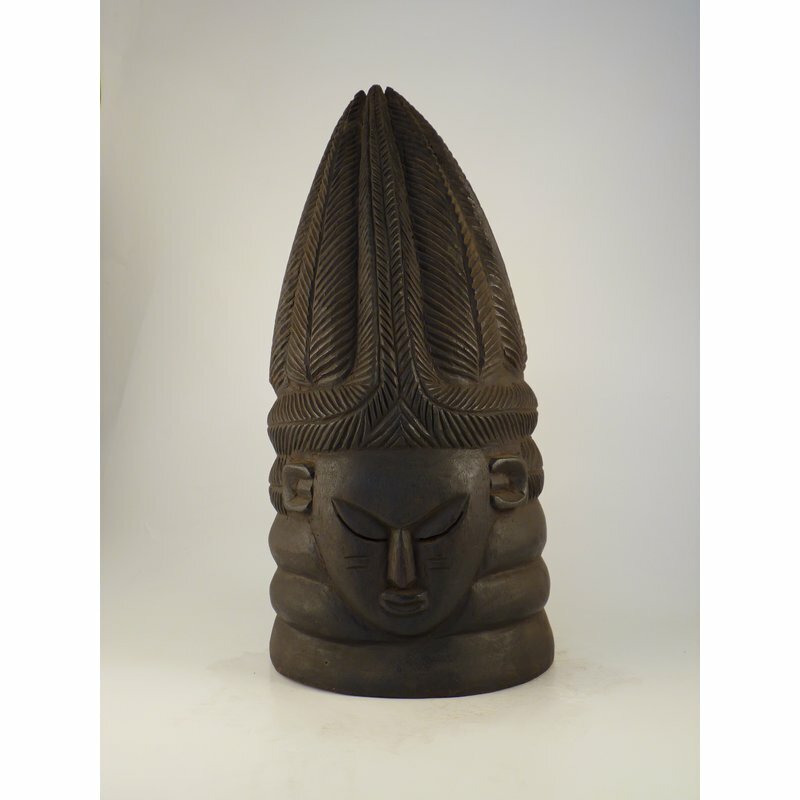 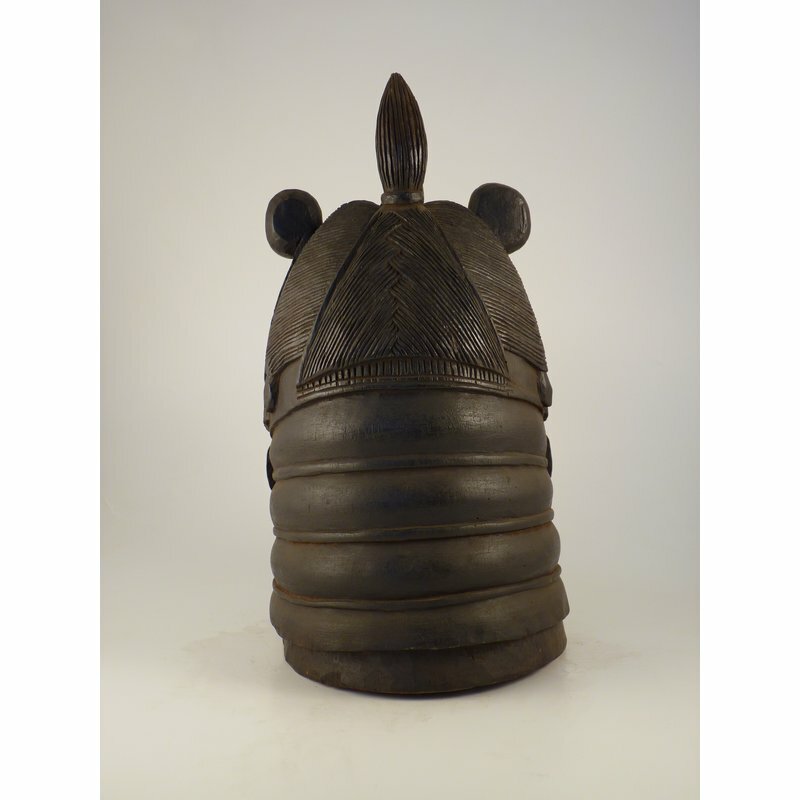 Worn with a raffia costume, the masks typically have a polished black finish, with neck rings, elaborate coiffure and dignified facial expression. 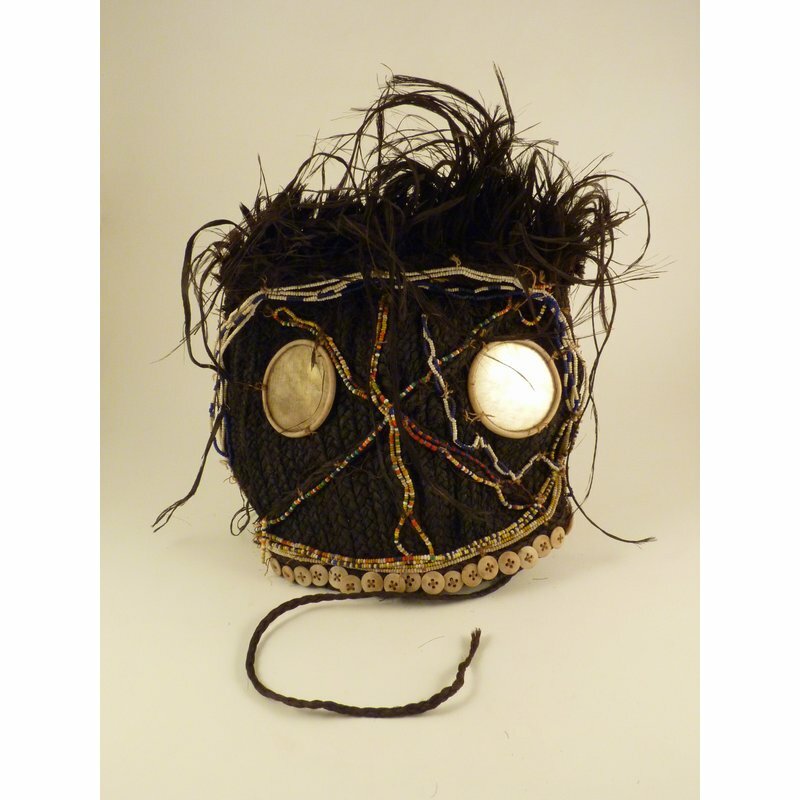 The mask is thought to represent conceptions of idealised womanhood. 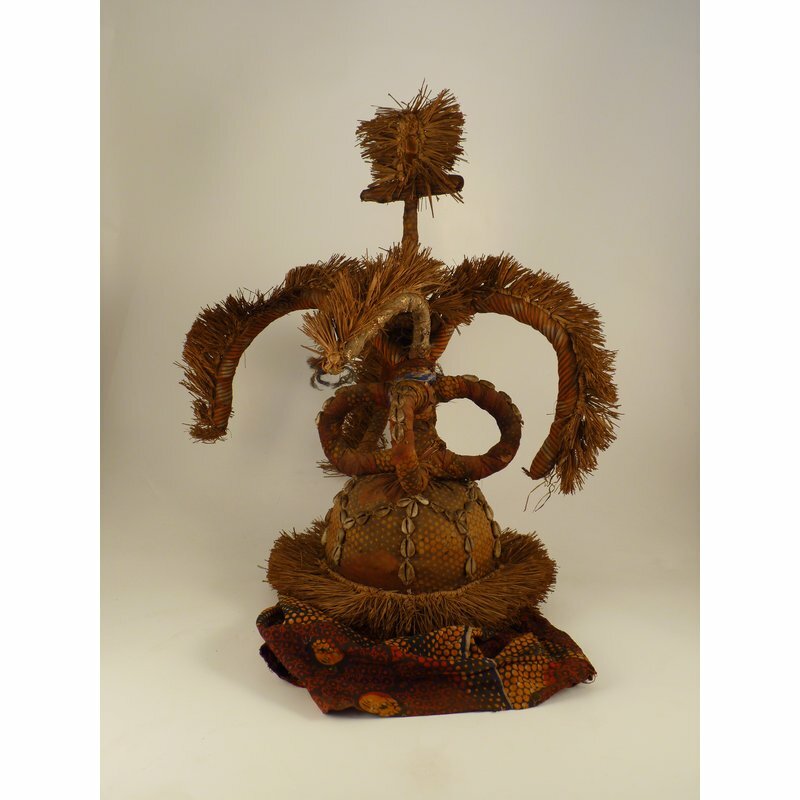 This example has an elaborate hairstyle with plaits running up either side, and two bunches at the front and back.